There has been a remarkable number of double tournament winners in recent weeks with Laurent Polito continuing the trend at WPT National Paris. The Frenchman outlasted a field of 682 runners at the Cercle Clichy in Montmartre to walk away with a first prize of €140,000. Polito had previously pocketed €74,500 after taking down the same event in January 2013. 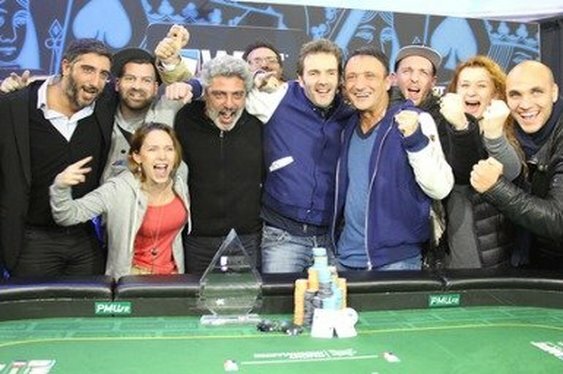 Sandwiched in between Polito's two Parisian triumphs was a win in the WPT National event in Cannes in May which boosted his bankroll by €86,000. The man from Beauchamp worked his way through a Paris final table that included David Lascar, Alexandre Pereira Gama and Guillaume Wilhelm before seeing off the challenge of recent Italian Poker Tour Grand Final winner, Carlo Savinelli. It took just half an hour of heads up play for Polito to claim his unprecedented WPT hat-trick, sealing the deal when his pocket aces held against his Italian rival's A9.